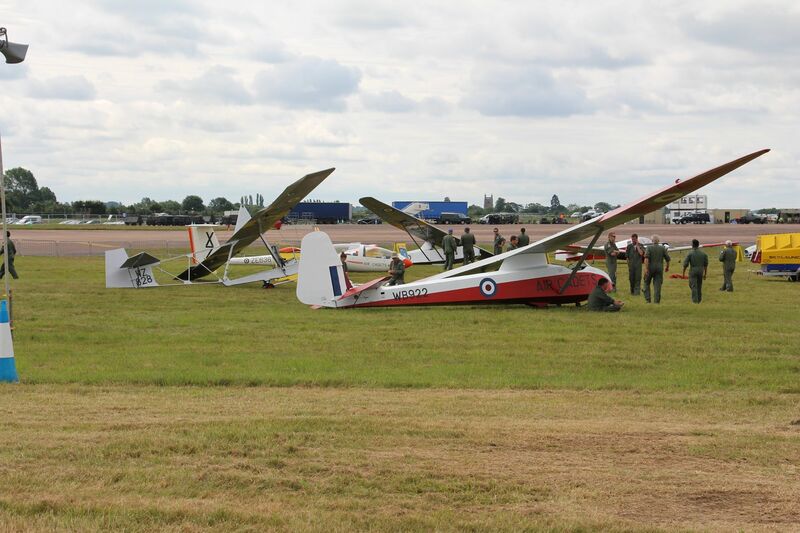 Today we had visitors from 618 VGS (Odiham). A nice sunny day with some soaring as well. 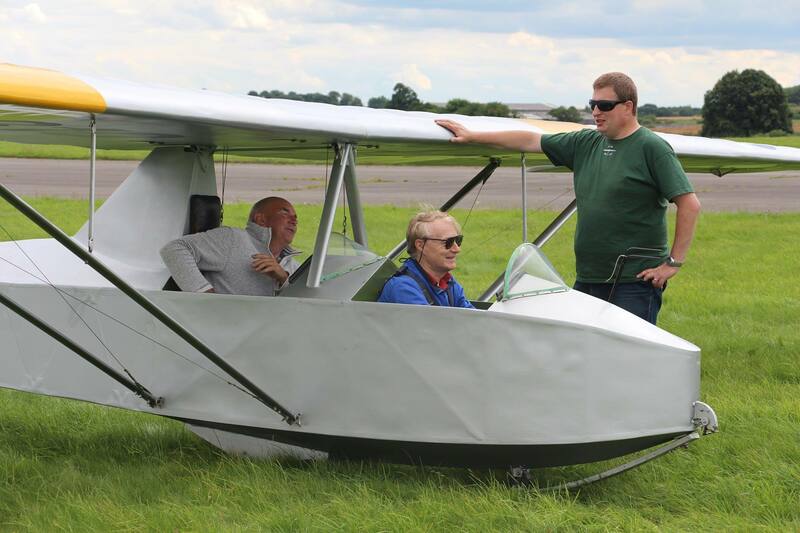 No stopping them fly – and guests too! 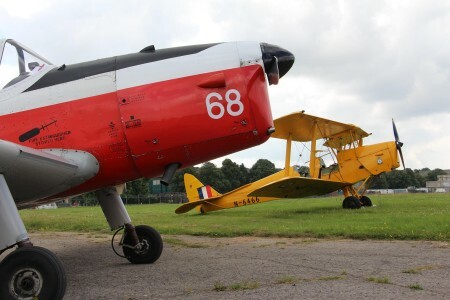 After a week at RIAT watching the noisy new stuff flying, the Historic Flight was back operating at Hullavington. With the airfield due to be sold soon every opportunity has to be taken. The Historic Flight flew on the 17th before a special treat on the 24th July – a Tiger Moth and Chipmunk joining in the fun (or adding to it). The aircraft flew in from Compton Abbas and spent the day flying members of the Flight. Lots of very happy people on the airfield! Many Thanks to those that made this happen. We also had a visitor from 631 VGS who brought with him some parts he found in a cupboard. Thanks Gary! I think he found his way into everything and I think he enjoyed it! And another Venture ZA634 popped in to say hello to ours. 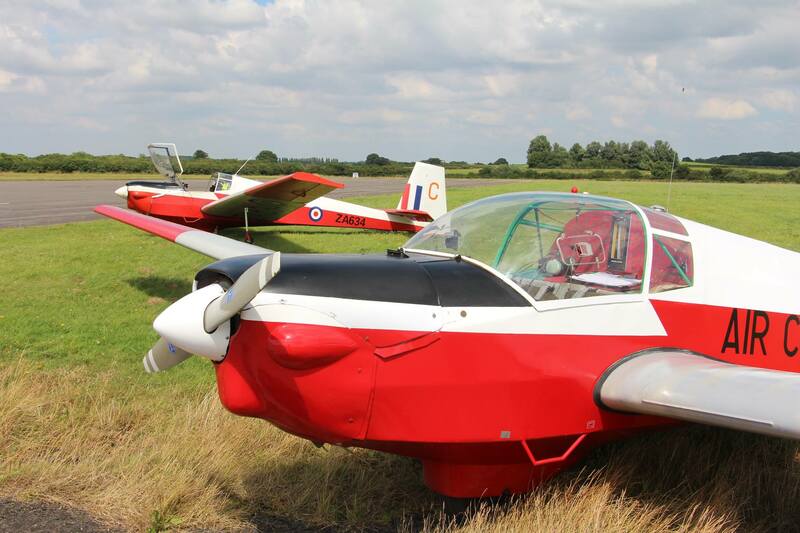 The 621 VGS Historic Flight joined up with the VGS to display at the Royal International Air Tattoo 2016. The Sedbergh, Primary and MKIII were loaded into trailers along with a VGS Viking, and the Venture prepped for it’s transit flight. A Vigilant from 612 VGS would also form part of the display. A great deal of work had been done by a number of people to get the trailers ready for their trip. Darren Melling-Poyser spent a lot of hours on Sedbergh trailer, along with others, as Al Stacey repaired his. The finishing touches to the trailers were being made as we de-rigged the aircraft and loaded them into the trailers during Tuesday and we were ready to depart to Fairford early on Wednesday. The rest of Wednesday was spent rigging the aircraft at Fairford. You don’t usually rig so many at once, but we had lots of people so that wasn’t the problem. What made it harder was the Typhoons, F16’s, F35 and others doing there display practice – which if not being very noisy – would distract several which had bought big cameras. In order to keep the aircraft safe during bad weather and for overnight shelter, a marquee was ordered as a temporary hanger. In order to keep the costs down it was ordered to size. The aircraft were rolled in on trolleys sideways. This often drew a small crowd of those on site early or still there at the end of the day. With some big thunderstorms looking like they would pass over the site on Sunday, it was good to know we had somewhere to run to. 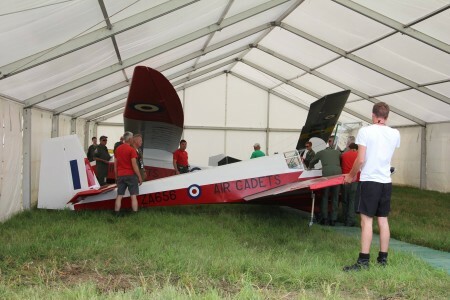 On Thursday we did the final setup and polish of our static display before the first round of judging. The Sedbergh and the Grasshopper were entered into the Concourse D’Elegance and the judges kept coming back – what did that mean? The display also included the VGS equipment. 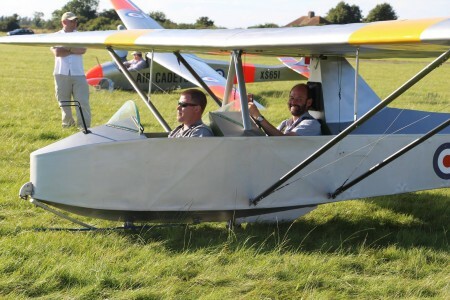 Slightly more modern than the Historic Flights. 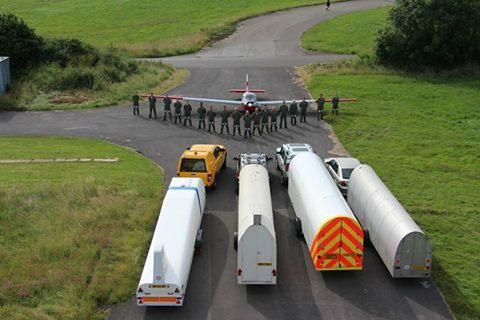 A brand new Winch, a brand new Tractor, a brand new Ford Ranger, a new (ish) Glider Trailer and a Launch Point Caravan. 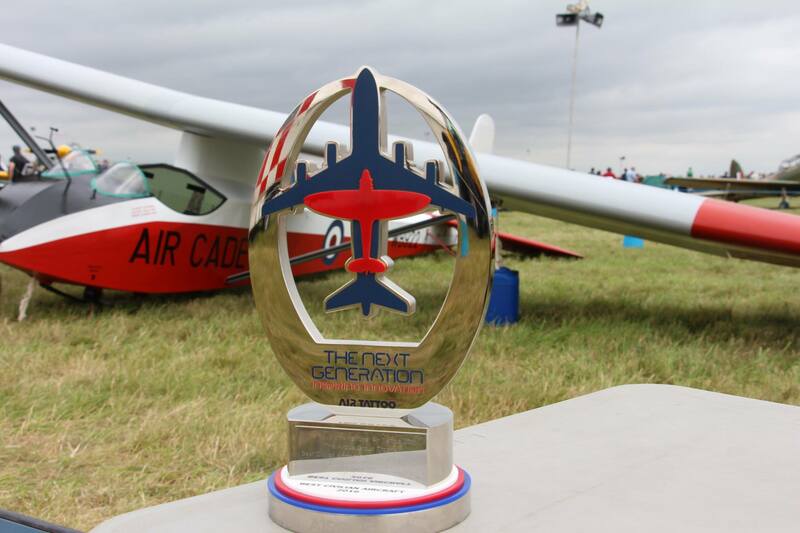 On the Friday night RIAT holds a Gala Dinner, a chance for VIP’s including the Chief of Staff’s from several Air Forces and government ministers to Aircrew and Ground Crew that have taken part in the Crew Challenge event. It is also the night the Concourse D’Elegance awards are presented. We knew from the Judges visits that one of the aircraft had done well. There was strong competition with aircraft such as the Blackburn B2 from the Shuttleworth collection being displayed as well as the excellent Chipmunks we were parked next too. It was only right that Flt Lt Adam Clarke went up to the podium to collect the award for the Best Civilian Aircraft in show! Saturday and Sunday were full public display days. 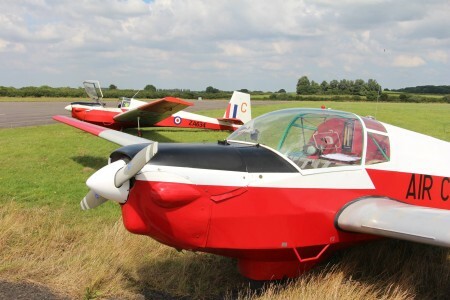 It was great to hear so many stories from people who’d first solo’s had been in the different aircraft types we had taken. We even had a couple who’s first solo had been in those exact aircraft! We spend Sunday evening and Monday returning the aircraft back to Hullavington and re-rigging them. It was a long hard but successful week.